I have lost power supply for my Alcatel OT 735, and manual unfortunately, does not say anything about the voltage. Could anybody read the voltage specification from the charger? my charger was burnt out,where could i buy the original charger of alcatel.im using OT735.also the original back casing? 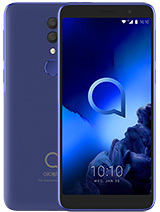 This phone quite good, but how can i going to save my picture from this phone to computer. In what format have you recorded the song? hi,i like this phone very much but after i record songs from pc,i cant place the songs as my ringtone.why?but i can set as message alert.wat the prob that cant i set the recorded songs as my ringtone. Like I said in the 735i forum, this is an excellent phone! It looks cool, its extremely reliable and very durable (battery life is excellent). The camera is low res but bear in mind that 2.5 years ago you should have considered yourself lucky with a camera phone for under 250 Euro's, which is exactly what this was, 250 Euro's simlock free! It was cheap, solid, full of functions! 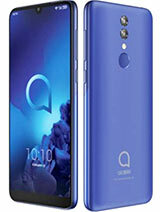 In short a very good phone! For all the people who have problems with the infrared, you can only transfer the images through infrared if you have the PC suite installed and configured properly (meaning that the communication with the phone is set too infrared!). 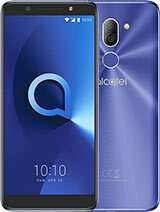 For questions about this phone or any other Alcatel related phone contact me at un112@msn.com. the problem i had with the pnone is how to get its english user's manual and how to use its gprs. The two things I love about this phone are its large soft buttons that make texting easy and its brilliant, superbly lo-res camera. Seeing how much trouble users have been having with the IR port, I'm glad I got a cable for transferring pictures instead. The thing that's bothered me most about my phone is its tiny memory and how you have to delete messages manually. It's quite a drag if you forget to clear your old messages, because then you can't receive new ones. 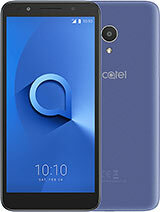 Alcatel should be able to explain why this phone cannot transfer effectively thru infra red, cos that's one of the major reasons why I bought the fone. What is the way out. The way is beautiful and unexpectedly very strong. PLZ HELP i do not know how to send my pictures and sounds by my infra red can you please help me . picture not so clear and infrared cant be used to tranfer pictures or music files. ot735 is good. battery last for long, and the buttons are still ok, been using for a year now.the ringing vol is really low, photos not really sharp and irda transfers only business cards[numbers]. makes it really boring. kinda childish too. well i have this new fone and it dosent work. the battery always goes flat. can someone help me, i desperate! I have this phone about 2 years. 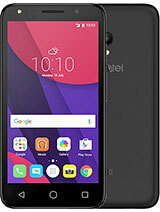 Absolutly the best phone ever made because it has so small price, battery is the best of the best (it can be without loaded 2-3 weeks if you play and take pics forwhile, if you look only clock 5 weeks) camera is normal. I have print 10x13 postcard and it was wery good. But this phone has bored me out really. Desaign is boring too. 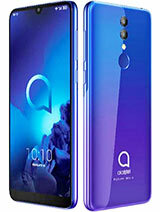 I advice you to own this phone because it is the simpliest and comfortable mobile phone ever. well i have this alcatel and theres some stuff wrong with it. firstly the backlight doesent work and there are purple sloches in the middle of the screen. secondly the infrared doesent work, it just says connection failed all the time. thirdly the stamps dont wor, i have them in my folder but when i go to use them they dont appear when i want to use them whitch really annoys me. you no the feeling aye? well i gots dis new fone but the backlight ant working no more soz i smashed it, wat does me do bout it?? ?